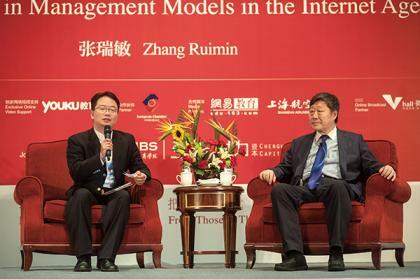 On August 23, Chairman and CEO of Haier Group Zhang Ruimin shared his thoughts on “Management Innovation in the Internet Era” during a CEIBS 20th anniversary Masters Class. Here’s an edited version of his presentation and the Q&A that followed. 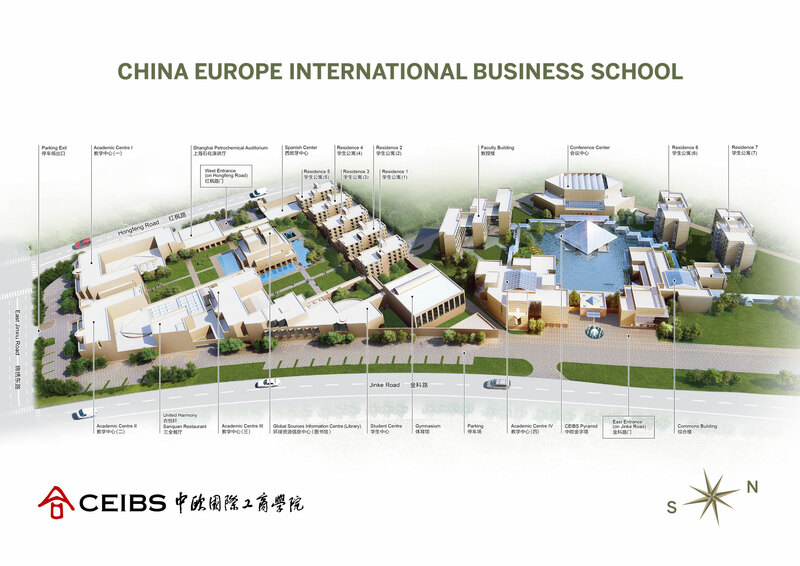 In the past, Chinese companies followed other’s lead: at the beginning of the reform and opening-up period, we learned from the Japanese system of total quality management (TQM), later it was six sigma from the USA, and then the various advanced management models from both Europe and America. However, in the Internet era, traditional management frameworks do not seem to work anymore, and we have to build new models. This is as much an opportunity as a challenge. There’s no definition for success in Haier’s dictionary. In fact, I believe every “successful” company has simply capitalised on the times we’re in. You know the saying, “even pigs can fly when there’s a strong typhoon”. The challenge is figuring out how you can ride the Internet wave. There are three pioneers of modern corporate management theory: the American Frederick Winslow Taylor proposed “scientific management” based on behavioural studies; the German Max Weber came up with the theory of bureaucracy, that’s the well-known pyramid-shaped organisation; and Frenchman Henri Fayol pointed out the “Five Management Functions” of the organisation (planning, organising, directing, coordinating, and controlling). But in the Internet era, the theories of these pioneers have all been challenged. First, the Internet has [closed the distance between suppliers and users], which forces us to shift our focus from the company to our users, and each user has his own needs. Taylor’s concept of scientific management is based on mass production, but today we have shifted our focus from mass-production to mass-customisation. Second, there is the trend of decentralisation. Who leads your employee? Not his supervisor, but his customers; he has to report directly to them, which breaks Max Weber’s bureaucracy theory. In the Internet era, a company shouldn’t have red tape. Third, there is distribution. Resources are not kept inside a company, but distributed across the globe; so “the entire globe is your R&D department.” This contradicts Fayol’s general theories of management. In a nutshell, it’s impossible to still cling to traditional practices, as the times drive you to change. For Haier, strategic transformation is very important. This is how we changed from being company-focused to user-orientated, and we call this the strategy of “win-win between person and order”. “Person” refers to our employees, while “order” represents user value. It’s not always easy to clearly link each employee with the value he can bring to the organisation and help him define his strategy. In organisations that have a bureaucratic structure, employees take orders from their supervisors, but Haier is now pushing forward to ensure that employees are given some amount of leeway. They can thereby become entrepreneurs and identify resources from outside the company for their business initiatives. Take Haier’s “Smart Waterbox” for example: its function is to monitor and improve the quality of tap water. It was created by our employees after their “liberation” from the “pyramid”, and they finally evolved into an entrepreneurial team. Five of them invested RMB 450,000 into shares of the project – of course Haier is the majority shareholder. What’s more, they attracted British and American investors who also became shareholders, and in this way the project turned into a totally independent enterprise. 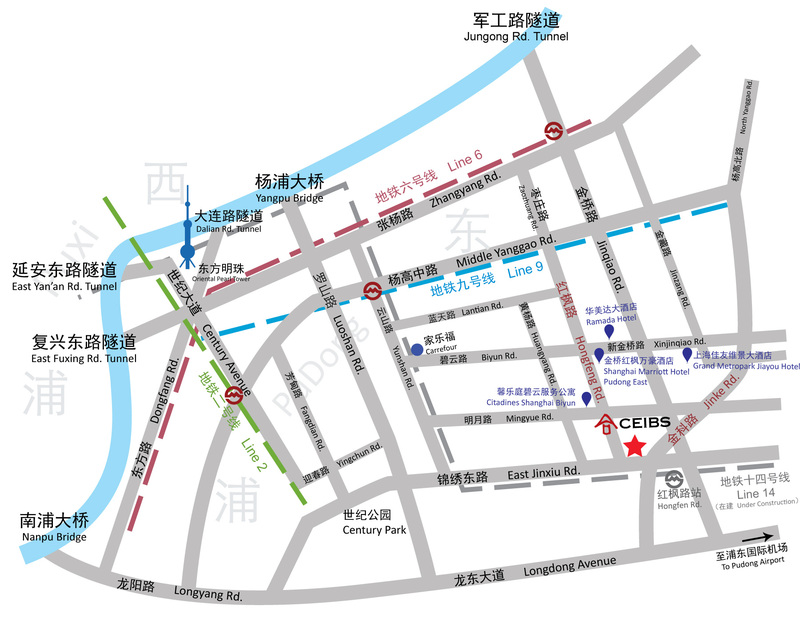 What are Haier’s objectives in its business model innovation? They are “company as platform, employee as maker, and user as individual”. 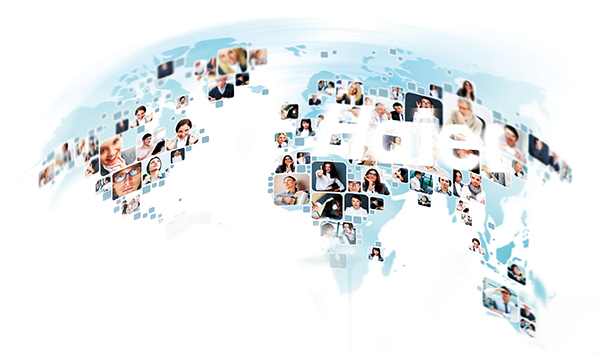 “Company as platform” is the general trend and it simply means utilising global resources. If a company isn’t a platform, what’s the point of making it bigger? In the retail industry, even a huge retail chain can be crushed by e-commerce’s relentless onslaught. It’s the same for industries: even if you are a very big company today, you cannot tell what will come tomorrow. What if 3-D printing becomes the norm? Maybe your company will fade away. If you do not build your company into a platform, it will not survive. Our second goal is “employee as maker”. What is a maker? According to Chris Anderson’s book, Makers: The New Industrial Revolution, a maker is the combination of individualisation and digitisation. In the past, it was extremely difficult for people to create something. Now, with the help of the Internet, it’s easier to do that. So we shall turn all our employees into makers. The third goal is customer individualisation. Today we face different demands from customers, and they keep changing all the time. So how do we keep up with their needs? As Chuck Martin notes in his book Mobile Influence: the new power of the consumer, people don’t just “go shopping” anymore, in today’s Internet era they “are always shopping”. So the company has to interact with them nonstop. When the interaction isn’t good enough the company will be beaten, because anything that goes wrong in mobile shopping can easily become the object of a live world-wide newscast. Many companies have been ruined this way: with just a complaint posted on the Internet, they were crushed. On the other hand, of course, if customers are all happy, that would be amazing. There’s a well-known saying by Kant, “Treat people as an end, never as a means to an end”. No one should ever treat themselves or others as mere tools to be used to achieve a goal. Once when I spoke in Europe, I was asked about my opinion on the theory that the biggest problem transnational mergers and acquisitions face is the cultural blending that accompanies the process. I said it was a pseudo-proposition. Different countries in the world definitely have different cultures, but they are essentially the same in their philosophies toward the value of mankind: everyone wants to realize his own value. If you treat people like tools, like small parts on assembly lines, they will be unhappy no matter which country they live in; if you treat them as an end in themselves, and help them realize their value, then many dreams will come true. Chen: We see that you are building the organisation into a win-win ecosystem where employees are treated as very important stakeholders within the structure. In this process of building the company into a platform, everyone becomes CEO and maker, so innovation is no longer the sole responsibility of the boss. But, will this lead to a situation where everyone is pulling in different directions? Would a platform-type company need a clear strategic orientation? Or would there be chaos? Zhang: This is a question we often think about. The traditional bureaucracy requires that each procedure goes with approvals, and there are regulations everywhere in the system, which seems very orderly. Now we’re having “zero-signature”, so will there be chaos without upper-level approvals? We got rid of the bureaucracy so our employees can have direct contact with customers. Now we have three kinds of people at Haier: platform owners, SME (small and micro enterprise) owners and SME members. Platform owners establish platforms to do two things: first, reshuffle the traditional organisation and procedures into one based on the Internet’s structure; second, ensure that the best resources flow in without obstacles and there is maximisation of the various parties’ interests. When you have that layer of platform owners, that prevents the entire system from falling apart. SME owners are individual entrepreneurial team leaders, who can start a business with external resources and capital. The rest are SME members; they’re not appointed, but totally market-oriented, and they’re a highly mobilised crowd. Chen: As a leader of a platform, how can you adequately control so many SME organisations? How can a platform leader manage so huge and complex an enterprise? Zhang: First, you shouldn’t control and manage, because that means you will merely have others go in the direction that you point. Besides, you cannot control and manage, because only makers themselves know users’ needs and how these needs change over time. You don’t have the traditional power of controlling and managing, so what kind of power do you have now? The only power you have now is your duty to help SMEs evolve in the right direction. 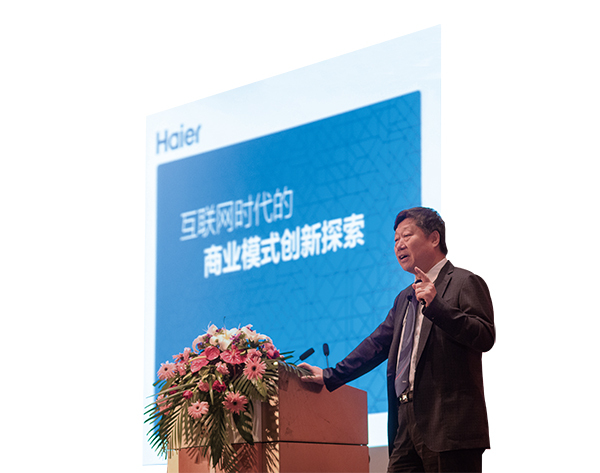 Chen: Haier encourages its employees to innovate and engage in business initiation, but employees may have only certain resources – such as those in technology or R&D. How does the company help entrepreneurs find the market, information and other resources that they need? Zhang: This is a very big problem that we often have. Some employees come to Haier for the steady salary and a feeling of security, and they don’t want to start new adventures. Some employees are highly specialised in training, and don’t have the skills to launch a business. These two situations are very common. Now, we first need to get our employees to change their mind-set. You do not necessarily have to have any great talent, but you must become a “connector”. In the same way, if you are a developer you many not necessarily be able to develop the world’s greatest product, but you can change yourself to become a “connector”. This way you can tap into first class global resources, and in this way you can develop world class products. 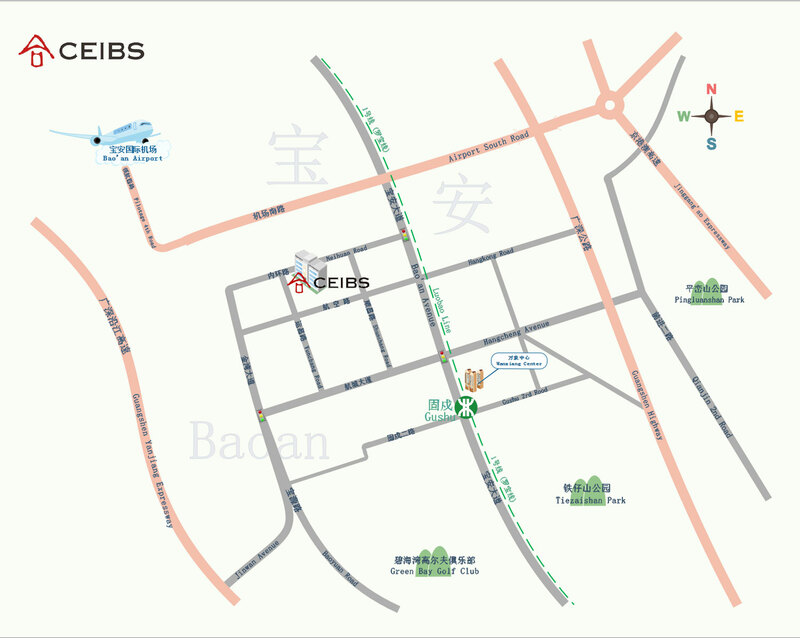 Chen: Haier is a leading white appliances manufacturer worldwide. What does the future hold for the company? Zhang: I hope Haier will no longer be a traditional enterprise. It should be a platform, an ecosystem. I hope that everyone has ample room to give their talents full play, not just listen to their supervisors. As Peter Drucker says, everyone should become his own CEO.